Professional healthcare and pharmaceutical speaker Mike Hourigan helps companies seamlessly transition organizational change, kick off new product launches, and conduct lively sales and customer service programs with his practical, down-to-earth strategies for effective team management. 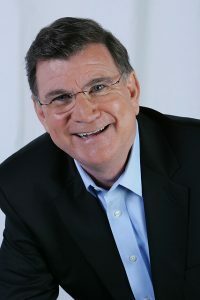 As an in-demand professional trainer and pharmaceutical presenter, Mike has offered over 1,300 audiences the benefit of his real-world corporate experience, customizing each of his dynamic programs to the unique needs of the organization. His lively humor coupled with immediate and practical takeaways has made him a favorite with audiences in the healthcare arena. Soon after, Mike was asked to conduct similar programs for Kaiser Permanente and Novant Health. Mike even shared the stage with Gene Kranz, the NASA engineer who said “failure is not an option”, while speaking to the R&D and Marketing leadership teams at GlaxoSmithKline. Mike’s working knowledge of the healthcare and pharmaceutical industries, coupled with his unique delivery of relevant and workable ideas is just the prescription for any highly demanding and discerning audience. Among Mike’s extensive client list in the health and pharmaceutical industry are Banner Pharmacaps, U.S. Department of Health & Human Services, Greiner Bio-One, American Association of Blood Banks, Novartis Pharmaceuticals, American Cancer Society, Bayer Corporation, Blue Cross Blue Shield, Bristol-Myers Squibb, GlaxoSmithKline, Merz Pharmaceuticals, Johnson & Johnson, and Kaiser Permanente. If you are in need of a Healthcare Speaker and/or Pharmaceutical Speaker, professional speaker Mike Hourigan is the right man for the job.